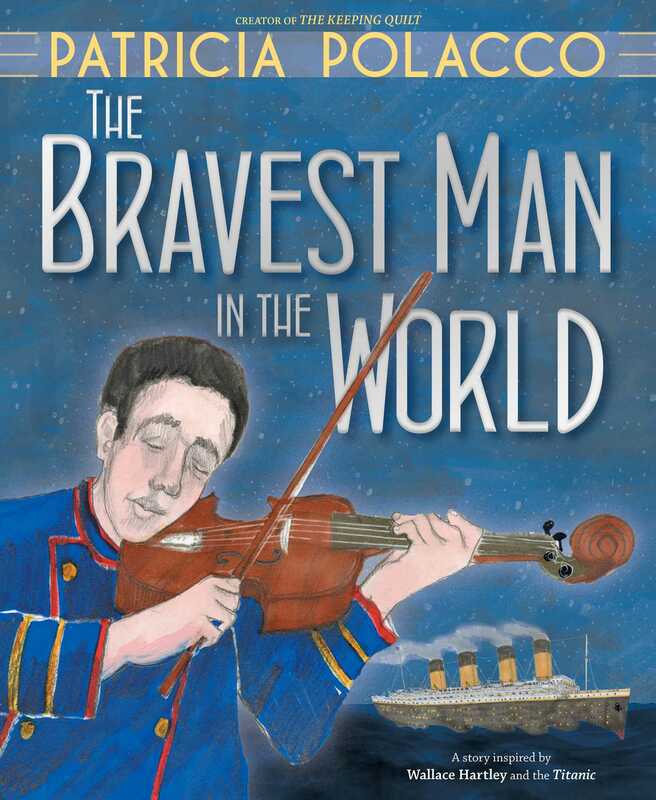 From master storyteller Patricia Polacco comes the tragic and beautiful story inspired by Wallace Hartley—the musician who played with his band to calm the passengers of the Titanic as the ship sank. One afternoon, Jonathan Harker Weeks didn’t feel like practicing the piano. So his grandfather decided to tell him a story to show how much of an impact music can have. When he was a child growing up poor in Ireland, his mother made sure he learned to play the fiddle, despite their challenges. After his mother passed away and he was on his own, Jonathan’s grandfather fell asleep hiding in a mail sack and was taken to a ship. When he woke up, he realized he was on the Titanic on its maiden voyage, and it was there that he met Wallace Hartley and Mrs. Weeks, a kind man and woman who took him in. Then one night, the majestic ship hit an iceberg. He and Mrs. Weeks were put on a lifeboat—and Mr. Hartley and his band bravely continued to play to calm the crew and passengers. The story of Wallace Hartley is true and he is known throughout the world as a hero. The New York Times bestselling author and illustrator of The Keeping Quilt Patricia Polacco offers this stunning and heartbreaking picture book to celebrate the memory and bravery of a single man who used the power of music to comfort thousands of people during a catastrophic situation.